For its 48th edition in 2019, International Film Festival Rotterdam (IFFR) has forged a partnership with Buma Cultuur, a foundation supporting music-related events in the Netherlands. Buma Cultuur will contribute to the festival’s music activities and IFFR PRO Days will feature a special music-themed day bringing together filmmakers and composers. Among the confirmed speakers is composer Cliff Martinez (Drive, Spring Breakers). 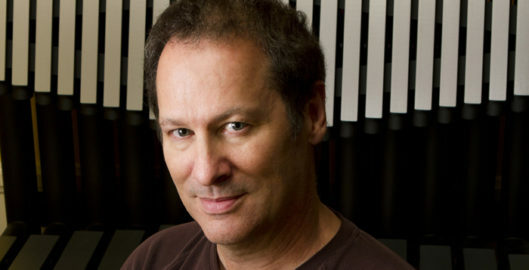 Composer Cliff Martinez is one of the invited speakers for the music-themed day during IFFR PRO Days 2019. Martinez has been composing film music for over 20 years for films like Drive (Nicolas Winding Refn, 2011) and Spring Breakers (Harmony Korine, 2012) and is the former drummer of the Red Hot Chili Peppers. IFFR is known to be a film festival keen to complement its film programme with exciting music performances. Examples include the programmes Scopitone (music documentaries with live music afterwards), sound//vision (visual art with accompanying live music) and EarWORM (a collaboration with WORM during IFFR 2018 featuring three documentaries about doom metal, electronic music and punk, with subsequent live music shows). IFFR 2018 also organised a live performance by jazz legend Milford Graves and a special screening of Paul Thomas Anderson’s Phantom Thread with live music performed by the Rotterdam Philharmonic Orchestra.